Volkswagen Motorsport India has opened up registrations for driver selection for its third edition of the Ameo Cup Series, which also happens to be the 10th edition of the Volkswagen Motorsport India's touring race car series. The selection round will be held at the Indi Karting Track in Kharadi, Pune, where the driver's performance in karting sessions will be evaluated. All drivers will be judged on their overall driving skills. This will include consistency of performance, understanding racing lines, lap times, driving attitude and versatility. 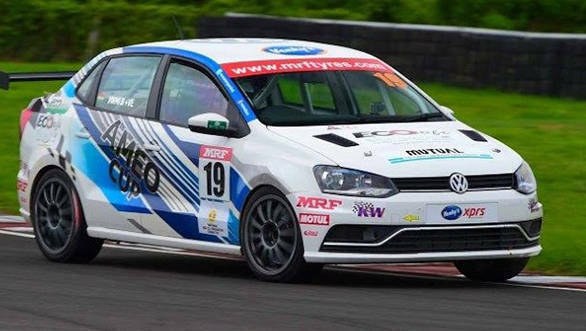 The 2019 Volkswagen Ameo Cup races will be conduced at the MMRT in Chennai, the Kari Motor Speedway in Coimbatore and the Buddh International Circuit in Greater Noida. It will be hosted as a part of the MMSC-FMSCI Indian National Racing Championship. The last date to register for the 2019 Volkswagen Ameo Cup is February 3, 2019. The Volkswagen Ameo Cup car is powered by a 1.8-litre TSI engine, mated to a racing gearbox. VW claims that the Ameo Cup Car is the fastest car rolled out of the Volkswagen Motorsport India workshop. The format of the Volkswagen Ameo Cup will have a grid of around 20 identically spec-ed cars and 10 races scheduled across the year. Interested participants can fill out the registration form available online and follow the application process given on the website to be eligible for the evaluation process.